A mild delicate spinach flavor and amazing red stem color. 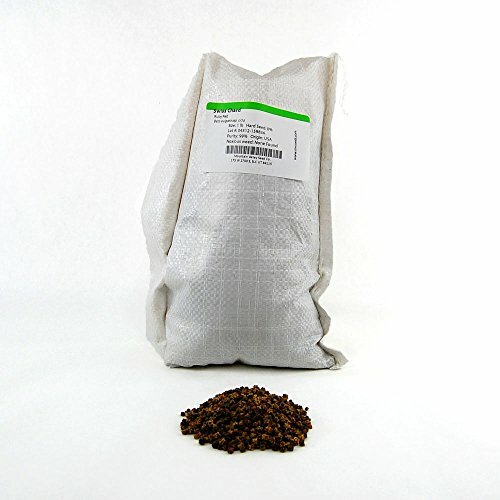 Makes an excellent choice to add to any micro mix for the flavor and color. Difficult to grow hydroponically. Grow in soil. Notes & Growing Tips: Chard is part of the beet family and the greens look very similar to beet greens, but with a much more pleasant flavor. Grow only in soil. 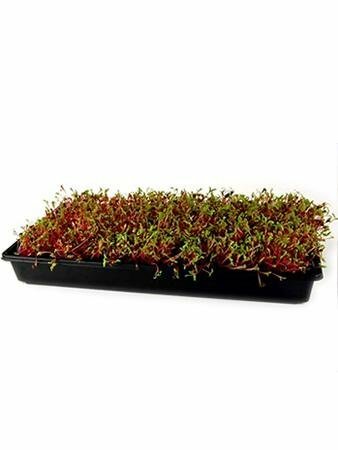 Very difficult to grow hydroponically, but are quite easy to grow in soil. 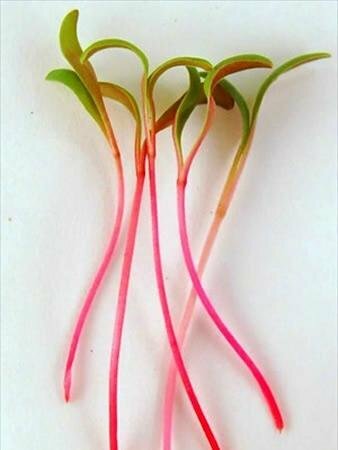 Cut close to the soil to feature the colorful stem, and rinse well. Experiment with covering with a thin layer of soil when planting. Keep covered for with blackout dome for close to a week. 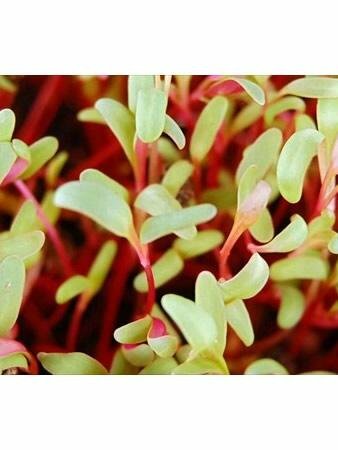 Amazing colors and pleasant flavor make these greens a great choice to add highlights to any microgreen salad. This is the best and most inexpensive choice as substitute for beets.